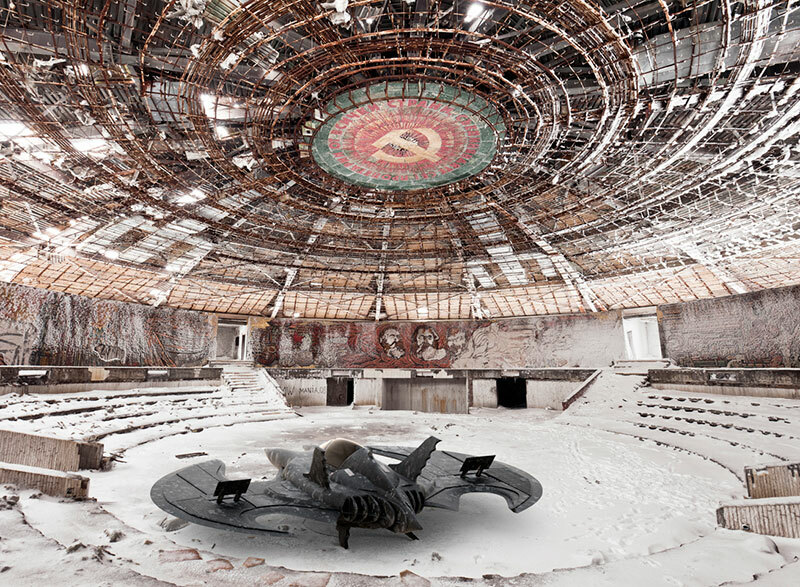 A series of digital composites by French artist Travis Durden that depicts the caped crusader in abandoned and decaying structures. 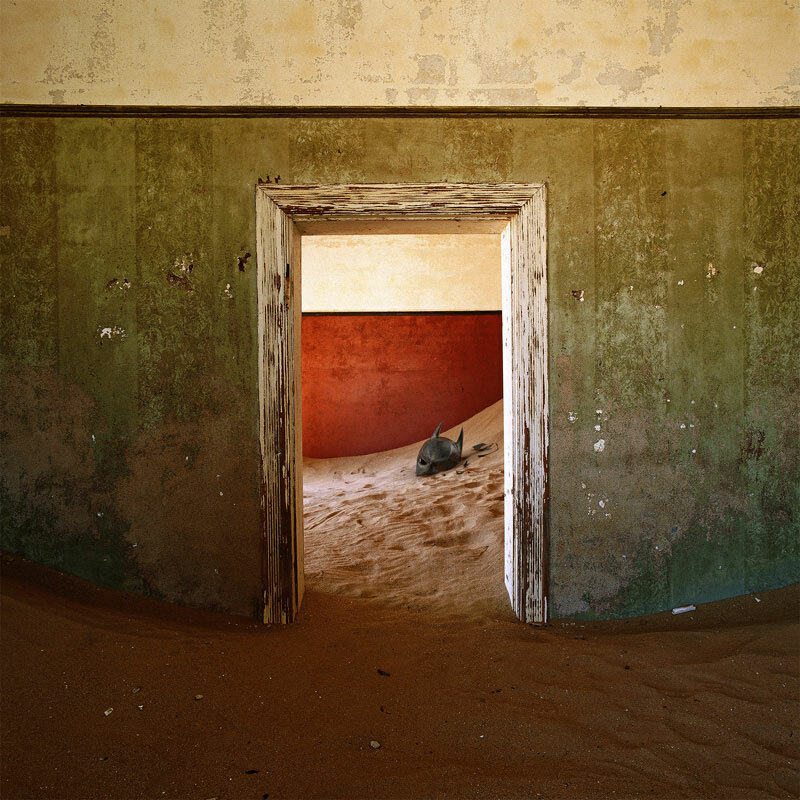 The project is a collaboration with several photographers who document these architectural spaces around the world. 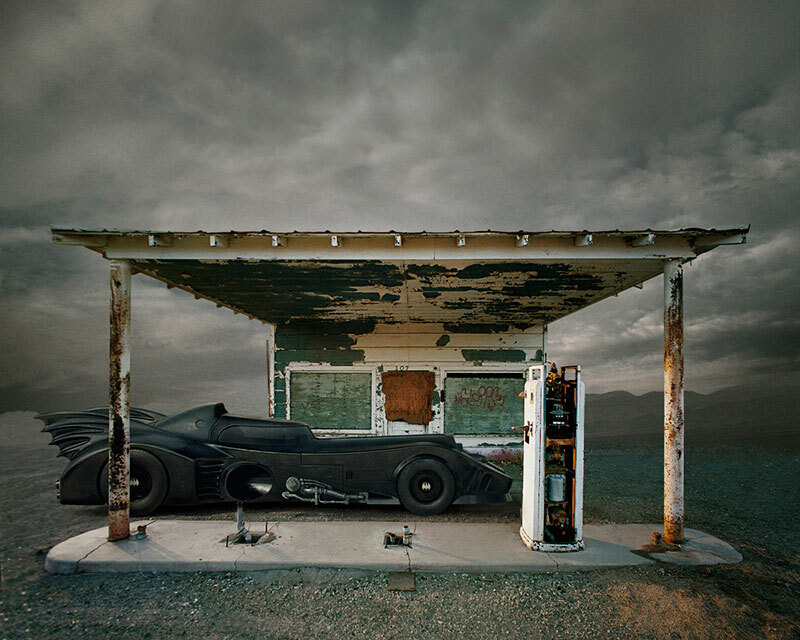 Using 3D software, he recreates objects from Batman's shadowy life such as the Batmobile, Batpod, and Batplane and places them into a selection of images by photographers Jason Koxvold, Kristina Kostadinova, Matt Lambros, Ed Freeman, Alicia Rius, and Antti Viitala. 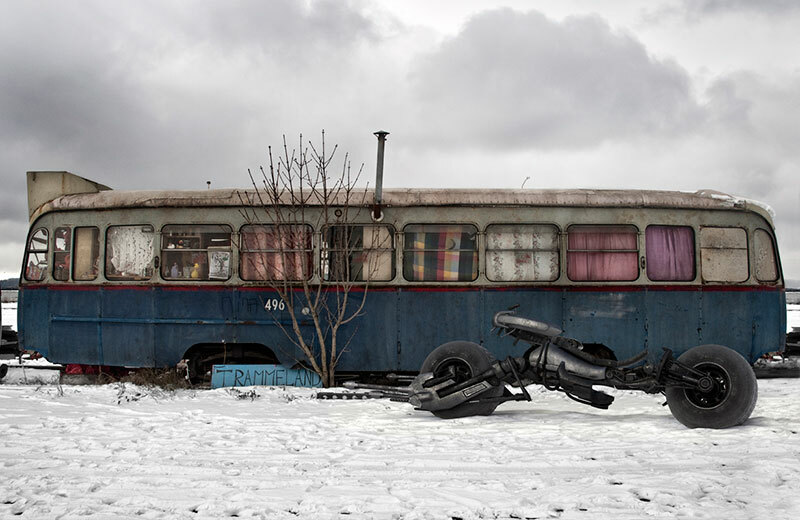 The result sees the character trapped in a post apocalyptic universe, surrounded by devastation and decay. 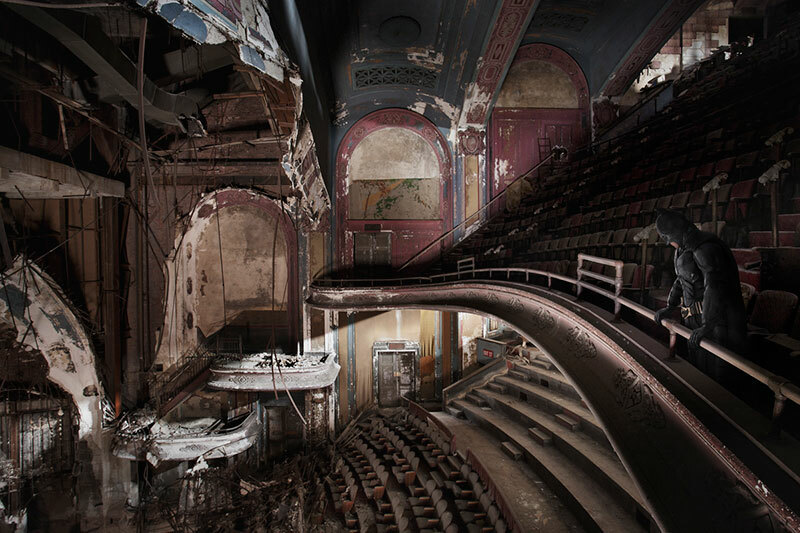 He states: "I wanted the final images as real as possible, as if Batman really spent time in these abandoned places." 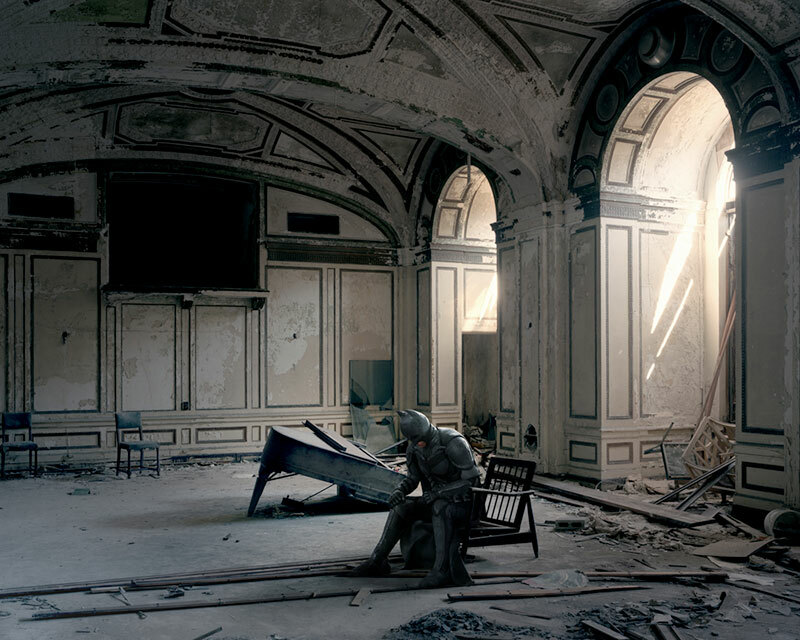 A series of digital composites by French artist Travis Durden that depicts the caped crusader in abandoned and decaying structures.